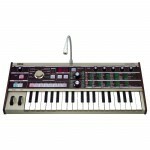 KingKORG is the full-fledged analog modeling synthesizer that musicians have been waiting for. I.. 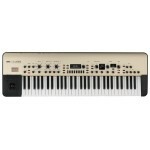 The KORG MS1 microSAMPLER Sampling Keyboard delivers multi-mode music sampling, resampling, patt..
With the microKORG analog modeling synthesizer, hardware matters. 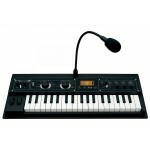 The built-in vocoder and selectabl.. 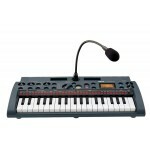 The Korg MicroKorg is one of the most successful products in keyboards in recent years. In these..